Product #2555 | SKU AEWT1000 | 0.0 (no ratings yet) Thanks for your rating! Compatible with the Wireless Essentials® range. Rugged, ergonomic metal housing. Includes field-replaceable helical and flexible-whip antennas. Three-position sliding cover limits access to controls as desired: full access, Power/Mute button only, or no access. Two position mounting clip. 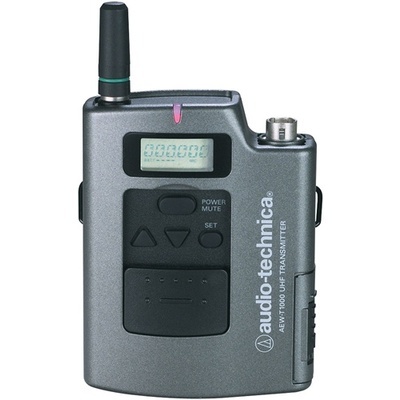 For use with AEW-T1000 and all Audio-Technica UniPak™ Wireless Transmitters.